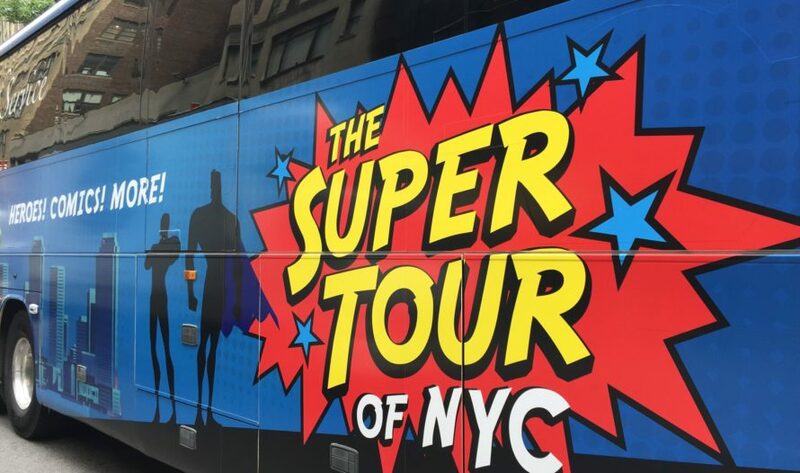 The Super Tour of NYC is a comic-centered tour that explores the filming locations where your favorite comic-book heroes saved the day! 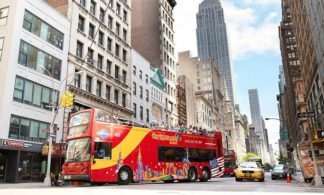 Accompanied by a professional guide, this sightseeing bus tour will visit over 40 New York City locations featured in your favorite super-powered TV shows and movies, such as The Avengers, Spider-Man, Batman, Superman, Jessica Jones, and more. 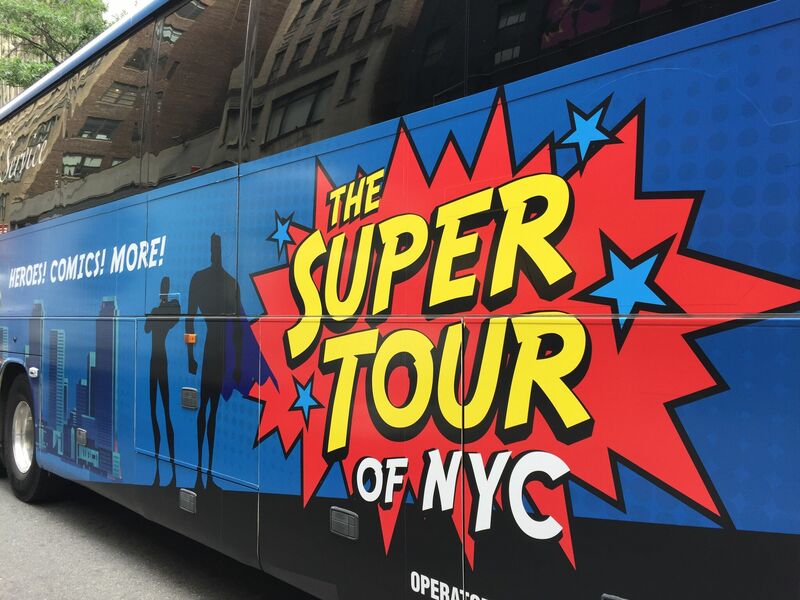 Whether you’re a Comic-Con regular or a casual fan, The Super Tour of NYC will give you a behind-the-scenes look at many of the most amazing adventures on screen and from the comics. So put on your capes and grab your shield as your tour guide leads you through the most filmed city in the world! The adventure begins in the heart of New York City, Times Square. See where Spider-Man saves Mary Jane Watson in Spider-Man and where he battles Electro in The Amazing Spider-Man 2. Recognize Stan Lee in one of his infamous cameos in Spider-Man 3. Marvel at the spot where Captain America discovers that he is in the present day in Captain America: The First Avenger and where The Incredible Hulk runs loose in The Incredible Hulk TV series! 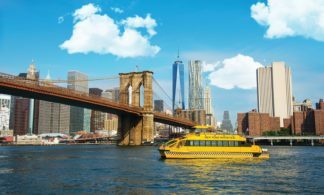 Don’t miss the chance to take a drive down one of the most famous streets in the world and New York City. This street plays a pivotal role in some of your favorite TV shows and movies! See Hogarth’s office featured in Jessica Jones and Iron Fist. Pass by the New York Public Library where Uncle Ben gives his famous piece of advice to Peter Parker in Spider-Man. Discover where the fictional Baxter Building resides in Fantastic Four. Be amazed by Grand Central Station, home to Lex Luthor’s lair in Superman: The Movie. Stop at the New York Daily News, the location of the Daily Planet in Superman: The Movie and get a peek at the Chrysler Building where Thor summons the power of Mjolnir in The Avengers and the Silver Surfer makes an escape in Fantastic Four: Rise of the Silver Surfer. Say hello to Norman Osborne’s home from the Spider-Man movies and spot the United Nations Headquarters from Superman: The Movie. One of the busiest streets in New York City is home to comic book history both on and off screen! Fly past where Batman was created, see where Doctor Strange and Mordo battle Kaecilius in the mind-bending Doctor Strange and where the Battle of New York featuring Iron Man, Captain America, Thor, Hawkeye, Black Widow, and the Incredible Hulk took place in The Avengers. The journey continues as you see the iconic Empire State Building, used in Spider-Man and Superman: The Movie. Hop off and take a photo in front of the Flatiron Building and Madison Square Park, home to the Daily Bugle from the Spider-Man movies. Swing by where Peter Parker and Gwen Stacy go on a date in The Amazing Spider-Man 2 and where Jessica Jones investigates a shady suspect in Jessica Jones. 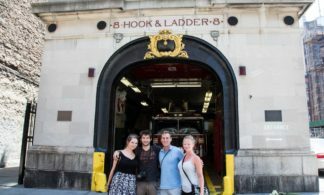 You’ll drive through two of NYC’s unique and cultured neighborhoods. Moving through the Lower East Side, see where Doc Ock’s laboratory is in Spider-Man 2 and where Peter Parker lives in Spider-Man 2 and Spider-Man 3. Drive through Chinatown where Danny Rand fights for his life in Iron Fist. See the historical buildings of the Financial District where Matt Murdock, Foggy Nelson, and Jeri Hogarth defend their clients in court in Daredevil and Jessica Jones. Spot Bruce Wayne in front of the New York County Surrogate Court in Batman Forever and where Batman has his climactic fight with Bane in The Dark Knight Rises. Discover where Danny Rand meets Colleen Wing in Iron Fist and where the Gotham City Police Department is in Gotham. 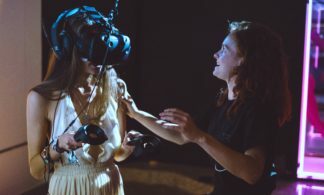 * In an effort to stay current, the tour company is continuously updating the tours with new locations and cannot guarantee the presence of all locations mentioned above. Loved the comics tour. Wow!